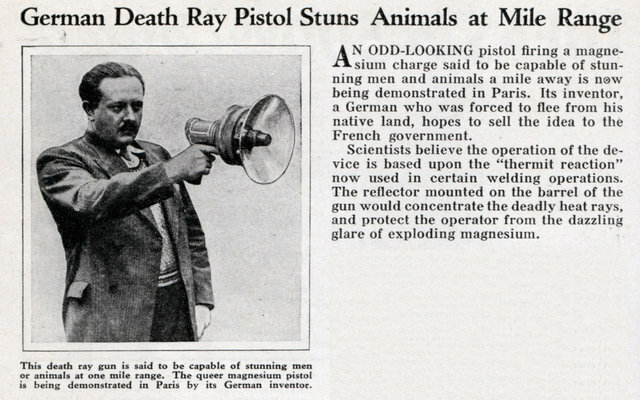 AN ODD-LOOKING pistol firing a magnesium charge said to be capable of stunning men and animals a mile away is now being demonstrated in Paris. 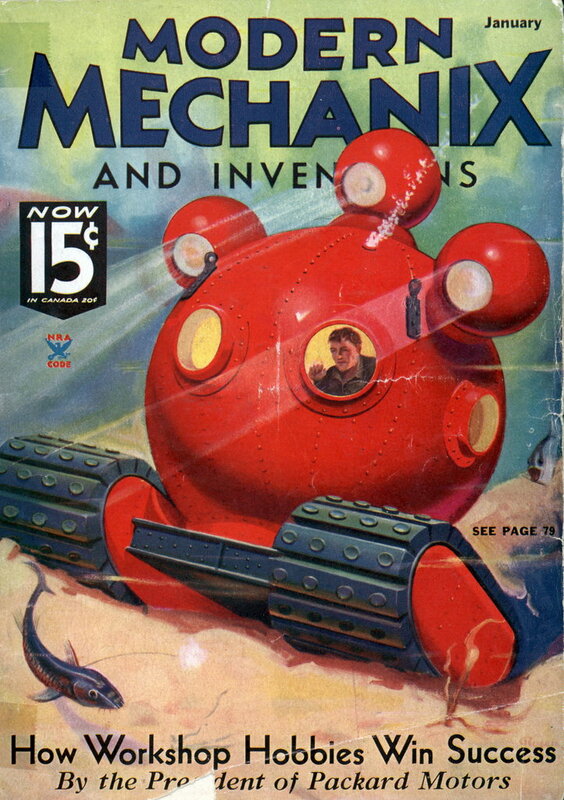 Its inventor, a German who was forced to flee from his native land, hopes to sell the idea to the French government. Scientists believe the operation of the device is based upon the “thermit reaction” now used in certain welding operations. The reflector mounted on the barrel of the gun would concentrate the deadly heat rays, and protect the operator from the dazzling glare of exploding magnesium. So there REALLY was a Death Ray Pistol! WOW, THAT’s AWESOME!